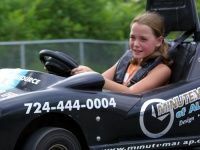 Find fun places to ride go karts in PA. Ride like the wind at these go kart tracks in PA. Speed Raceway - "For the racer in all of us!" We welcome everyone from walk-in racers to catered private parties, fundraisers and corporate events. If you think you’re really fast, then join one of our adult racing leagues. Teams are forming now at the center near you. Our Super Track has twenty, high-powered Go-Karts, including four two-seaters which children under 12 ride free when accompanied by an adult. A quarter-mile, twenty-five-foot wide, all concrete track with awesome hairpin turns gives these Karts plenty of room to run. Two bridges add an over-and-under thrill to this great racing experience. And a remote kart control system ensures the latest in track safety. If you like Go-Karts, you'll love this track in PA! 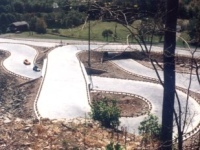 Find out more about a great Go Kart Track in PA and check out their full page listing! Fulfill your Need for Speed near Philly! 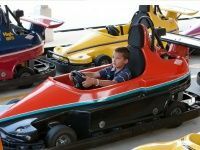 Located within a half hour of Philadelphia, Arnold's Family Fun Center offers more than 75 go-carts and two race tracks. These fully electric and fuel-free carts are sure to offer a thrilling and fun racing experience. 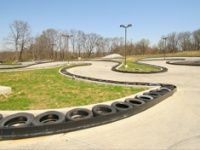 With a wide selection of carts for all ages, including pro karts, racer karts, double seaters, junior carts and falcon carts, this go kart track near Philly has something for every member of the family. Large group rates and birthday party packages are available for your next special event. While you're there, check out the games, rides, camps and food that this go kart track near Philly offers as well. Stop in for a guaranteed fun time and experience the thrill of high speeds and hairpin turns at Arnold's Family Fun Center! PA Go-Kart Racing and More! Go-kart racing is one of many fun things to do at the Fun Fore All Family Entertainment Center. The park's speedy little go-karts are suitable for all ages. Race with your friends or family around the extensive go-kart track. All drivers must be at least 58 feet tall and passengers must be at least 36 inches tall. The park is hours of fun for the entire family, as it also offers mini-golf, bumper boats, batting cages, an arcade, rides, a rock wall, and a snack bar. See why Fun Fore All has been consistently entertaining visitors for over 15 years! Fun Go-Kart Racing in the Poconos! 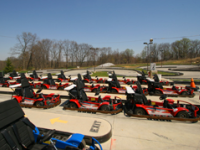 Take the whole family to Pocono Mountain Go-Karts & Play Park. At this outrageously fun PA go-kart track, passengers fewer than 36 inches ride free! To drive the adult go-karts, drivers must be at least 10 years old and 54 feet tall. Drivers of the children's go-karts must be at least 46 feet tall. The track is approximately 1/4 miles long. All rides are 4 1/2 minutes long, with about 8 laps. Two-seated go-karts are available for parents with kids. 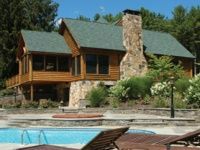 At this family fun facility, you can also enjoy target paintball, target archery, and other cool activities. Thrilling Go-Kart Racing Events in PA! Cherish a true racing experience at Speedway 94 in Hanover! The PA go-kart speedway caters to drivers of all abilities, whether you're a budding novice or a sophisticated racer. Experienced drivers can participate in Bandit Racing--featuring the fastest cars in the Commonwealth! Speedway even gives out trophies and holds award ceremonies. Open to the public all-year round, the venue offers thrilling racing events for kids, adults, and families. 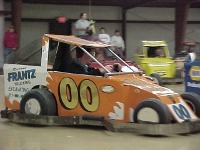 All kids 3 or older are permitted to ride the karts. Speedway is perfect for birthday parties and corporate events. Awesome Go-Kart Racing in PA! Experience the best in indoor go-kart racing and great family fun at S&S Speedways--the ultimate Poconos attraction. If you're looking to let off some steam, crash into your friends, and come out smelling like exhaust--this Pennsylvania go-kart venue will leave you blissful. The track is clean and slick, and the cars are in fine working condition. You must be at least 54 feet tall to drive. S&S Speedways proudly hosts birthdays, bachelor parties, and corporate events. 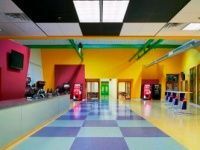 In addition to thrill-inducing go-kart racing, the venue offers video games, a snack bar, a pool table, and air hockey. Great Indoor and Outdoor Go-Kart Racing in PA! 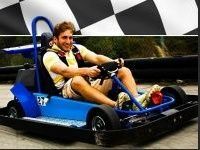 Carlisle Sports Emporium provides three great go-kart tracks for guests of all ages! The outdoor, cloverleaf-shaped track features many Indy-style go-carts. Even the best of drivers will be challenged, with the track's sharp turns and slick surfaces. To drive on the super-slick course, you must be at least 16 years old. To drive the indoor rookie karts, you must be at least 45 inches tall. For the outdoor Grand Prix racers, you must be at least 58 inches tall to drive alone and 18 years or older to drive with a passenger. All passengers must be at least 36 inches tall. The Grand Prix course is a 1/4-mile concrete-surfaced track with a bridge overpass. Best Indoor Go-Karting in PA! Seeking a true adrenaline rush? 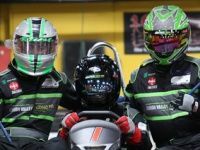 Strap in for the ride of your life at Lehigh Valley Grand Prix, a relentlessly fun indoor go-kart track in PA. Reach speeds close to 45 miles per hour on a 1/4-mile road course style track! Whether you're an experienced driver or it's your first time behind the wheel, you will experience thrills and excitement at Lehigh Valley Grand Prix! If you have young children, they can ride the smaller go-karts and race against other kids their age. 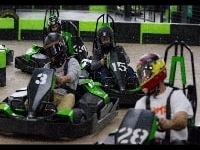 The premier go-kart track in Pennsylvania is perfect for corporate events, bachelor parties, and birthday parties. Go-Karts in Pennsylvania for the Entire Family! 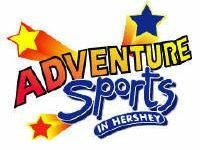 Start your engines at Adventure Sports in Hershey! You and the family can ride one of many colorfully decaled go-karts. On the 1,100-foot go-kart track, you will experience multiple twists and turns. Single and double-rider karts are available. All drivers must be at least 10 years old and a minimum of 58 inches tall. Passengers cannot meet the driver requirements and must be at least 40 inches tall. There's no admission fee required to enter Adventure Sports and parking is free! Go-Carts in PA for All Riders! Are you ready to race? Take a test drive on one of many cool go-karts at Eracers Go-Kart Park! All riders 48 inches and over can ride the Rookie Karts. Two-seated karts are available for adults with children. If you're seeking a real challenge, take a spin on one of the Indy Karts--available to drivers 16 years and up. The park has a small circular track and a larger track with some awesome turns. Check the website for a list of ride specials. Other attractions at the park include bumper boats and mini-golf. When you get hungry, grab some munchies at the snack bar. Most Thrilling Go-Kart Track in Pennsylvania! Enjoy the largest and most thrilling go-kart track in PA at Statler's Fun Center! The track is 1,528 feet long with a double over-and-under bridge. Feel the force as you approach those hairpin turns! Children must be at least 10 years old and 57 inches tall to ride as passengers. Choose from a variety of single karts and double karts. Any visitor with a valid driver's license and a craving for a truly powerful ride can drive one of the Pro-Karts. When you get exhausted from racing, check out the mini-golf course or arcade. One of the Great Go-Kart Tracks in Pennsylvania! At the Wildwood Highlands Grand Prix Raceway, you will experience 1,000 feet of banked curves, winding turns, and rolling hills! All rides last about 5 minutes. Drivers must be at least 58 feet tall or hold a valid PA driver's license. For 2-person cars, the driver must be at least 16 years old and the passenger must be 3 years or older. In addition to quality Pennsylvania go-cart racing, Wildwood Highlands offers laser tag, snow tubing, mini-golf, bumper boats, and more! At the end of the day, stop by the snack bar for some yummy treats. Fun and Safe Go-Karts in PA! Enjoy safe and exciting go-kart riding in PA at Caddie Shak in Donegal! All carts are equipped with seat belts, automatic shutdown systems, protective bumpers, and fiberglass bodies. The tracks themselves feature flexible guard rail systems. Kids 5 or older can race along the rookie go-kart track, while the older kids can ride the Grand Prix go-karts. If you're yearning for a truly fast-paced ride, check out the Stock Car Speedway. The Caddie Shak family fun park also offers bumper boats, batting cages, paintball shooting galleries, kiddie rides, mini-golf, and an arcade. Fun Go-Karting in Lancaster County! 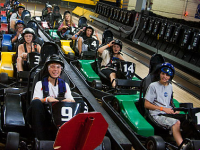 Drive onto High Sports' thrill-a-minute go-kart track and experience 1.25 miles of driving fun. All drivers must be at least 10 years old and 58 inches tall. Passengers must be at least 4 years old, and accompanied by a driver who's 18 or older. 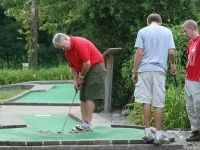 Located in the historic town of Lititz, High Sports also offers mini-golf, batting cages, a driving range, and a snack bar. 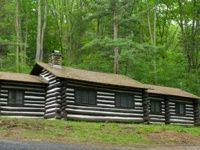 The location of the park is beautiful, as it's situated on a tree-shaded hillside covered with flowers, overlooking miles of gorgeous Lancaster County Amish farms. 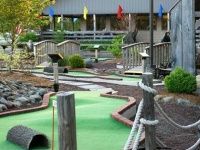 Mini-Golf and Go-Kart Racing in Eastern PA! In addition to offering a great driving range and miniature golf course, The Golf Zone is home to the Speed Zone--an amazing go-kart track in Pennsylvania. Adventurous drivers can try out the "Python," a competitive track with all sorts of tight, twisting turns. Solo riders can check out the single-seat go-carts, while parents with children can take advantage of the tandem-seat go-carts. The Speed Zone is ideal for birthdays and corporate outings. Log onto the website for a list of cool party packages. Pennsylvania Go-Kart Racing in the Summertime! Open during the summer is Costa's Family Fun Park--a lovely family fun park that offers bumper boats, mini-golf, water slides, laser tag, a gold driving range, batting cages, video games, and--of course--go-karts! The family-oriented go-kart track in PA features three types of cars--catering to all types of drivers. The track contains a bunch of tight and winding turns; and is decorated with racing flags, banners, and working traffic lights. The park has been open for over 20 years, and is only two hours from New York City. During the hot summer months, stop by the snack bar for Hershey's ice cream. Safe Go-Kart Rides in PA for the Whole Family! At Cook Forest Fun Park you will find go-karts, bumper boats, mini-golf, a waterslide, an arcade, a snack bar, and beautiful picnic grounds. The go-cart track is 850' and is perfect for a day of family fun. The staff at Cook Forest takes safety very seriously, so go-kart riders who break any of the rules will be forced to forfeit the ride without refund. You must be 9 years or older and at least 53 inches to drive one of the karts. Children ages 4 to 9 may ride with a parent. No bumping, serving, or reckless driving is allowed. 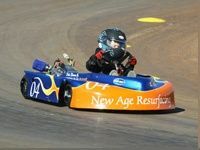 Go-Cart Racing in PA for All Ages! At Carousel Water & Fun Park, you can hop into a clean, modern go-kart and experience the challenge of real competitive racing on a paved oval track. Children 3 years or older can ride with an adult. Your kids won't feel left out, as children ages 3-8 can drive one of the kiddie kars. The park offers free parking and free admission. 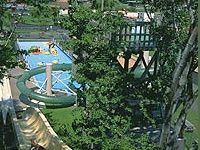 You and the family can also enjoy water slides, a wading pool, bumper boats, mini-golf, and a game room. The snack bar features a menu full of nutritious fast food entrees, as well as delicious ice cream--all at reasonable prices! Experience the Python Thrill near Philly! Don't let the name mislead you - The Golf Zone offers some of the best go-karting in the area, and it is only an hour outside of Philadelphia! You are sure to experience the thrill of a lifetime while racing around their twisting and turning track, "Python." With the option of a single-seater and a tandem-seater, little ones can experience the ride too, while by the side of a parent. Turn your boring afternoon into a fun-filled day, or turn a dull birthday party into an unforgettable experience at The Golf Zone! 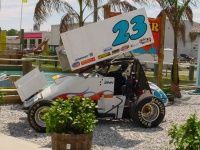 The go-kart track is open on Monday through Sunday from noon through 9:00 pm - stop in or make a party reservation today!